Proprietary Name: Senna What is the Proprietary Name? Non-Proprietary Name: Senna What is the Non-Proprietary Name? 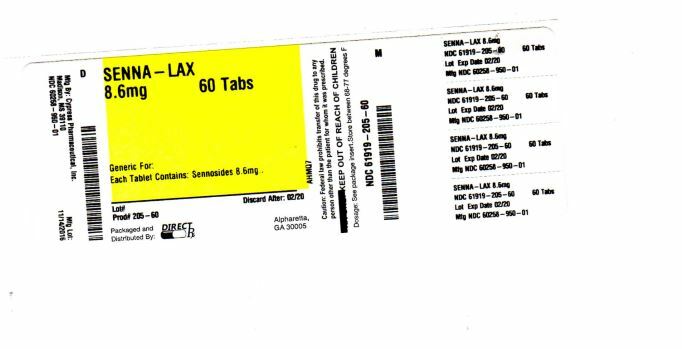 Senna with NDC 61919-425 is a a human over the counter drug product labeled by Directrx. The generic name of Senna is senna. The product's dosage form is tablet, coated and is administered via oral form. Dosage Form: Tablet, Coated - A solid dosage form that contains medicinal substances with or without suitable diluents and is covered with a designated coating. Why is senna medication prescribed? Colloidal silicon dioxide, croscarmellose sodium, dibasic calcium phosphate (dehydrate), lactose, magnesium stearate, microcrystalline cellulose, tartaric acid.